The Strathfoyle-based community worker, Paul Hughes, has declared he will be standing as an independent candidate in the elections to Derry City & Strabane District Council in May. The 30-year-old has said he will run in the Faughan District Electoral Area (DEA) where in 2014 he secured 501 votes - the fourth highest number of first preferences - before his eventual elimination at Stage 8 of the count. 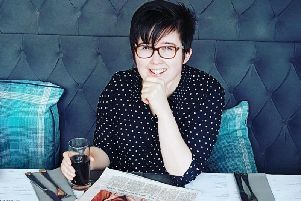 The Enagh Youth Forum activist said: “The reason I chose to stand in this election is because I want to help amplify the voices of people and communities who have been neglected, abandoned and over burdened by the establishment parties here. “I’m standing to offer a positive alternative. I am neither ‘orange’ nor ‘green’ and refuse to be pigeon-holed as simply ‘other’. “I am a rural community activist and an environmental campaigner. “Tribal politics here just isn’t working. Right across the city and district, people are struggling.